Let them float into the comfort of the Sheepskin Bootie. 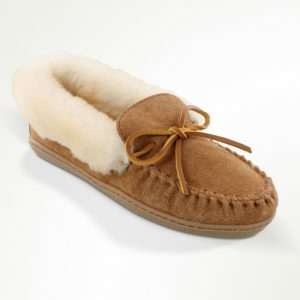 Ultra-soft suede and a fluffy sheepskin cuff snuggle little feet for unmatched warmth and comfort. A durable suede outsole protects those tiny toes while the simple tie closure offers easy on and off for the tiniest trendsetters. Check out other infant moccasins, here!